University is so much than going to classes and getting a degree. It is about developing who you are as a person, experiencing new things, and challenging yourself beyond that of your degree. Not only will you have tonnes of fun doing extra things like joining a society or evening running one, but it will look great on your CV’s to employers and you can even earn an award for it! 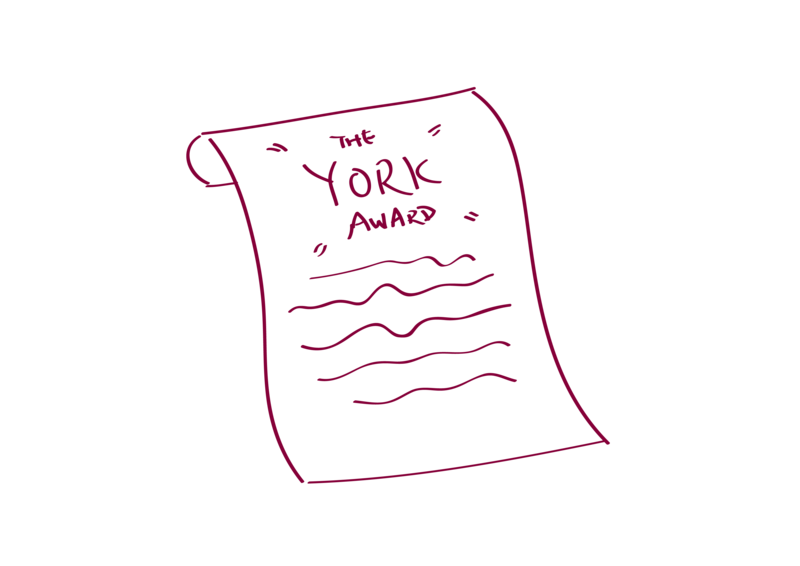 The York Award is a great opportunity for you to reflect on your university experience and get recognition for your hard work which is a super self-proud moment. My experience of applying and filling out the York award applications was definitely positive. The form is easy and simple to fill out and doesn’t take up a lot of time. The ability to save and edit the form any time before the deadline was handy as it allows you to complete it in stages and even edit and improve the form if things pop into mind or you gain a better skill example. Many of you, just as I, probably think that you haven’t gained many skills at university. However, once you begin the form, you will start to realise that something as simple as joining a society (even if that may be cocktail society), a small part time job, volunteering, or even planning and presenting a group presentation for a module in your degree, will have allowed you to have developed a skill such as teamwork, problem solving and contributing to the university community. A huge positive that came from my receiving the York Award was being able to put it on my CV for employers. When looking for a part-time job in my second year, employers were impressed and interested by the York Award and gave a really good talking point in interviews. I could give examples of skills that I have gain, using the form that I had completed as a prompt and it was very successful. The York Award is a really great opportunity to get praise for the great employable skills that you have already gained at university, and also a great way to inspire you to get more involved if you wish, and even extend on to the higher York Awards [Gold and/or Leaders]. So if you are already thinking of applying or have an interest, it is worthwhile to fill out the simple form and reap the rewards. See Jessica’s blog on gaining skills while at University.